The Northfield Hospital Auxiliary is a dynamic, service organization with a rich tradition of successful projects that support Northfield Hospital & Clinics and community wellness and healthcare. Our commitment is to fundraising, community education about the programs and services of Northfield Hospital, and volunteering in support of those services. Founded in 1951, the Auxiliary has raised and contributed nearly a million dollars in support of programs and services at Northfield Hospital and related community projects. Three newsletters mailed to members and three general membership meetings each year help keep us informed about all aspects of the hospital and its clinics. Members work through the hospital Volunteer Coordinator for training and assignment to services such as the Breast Care Center, Surgery Center and Kaleidoscope Gift Shop. 10-$1,000 scholarships for education in health-related fields, from high school graduates to PhD students. Forms available the first of February thru end of March and scholarships are awarded each May. Major contributions to community organizations, including Meals-On-Wheels, Senior Wellness Center, Spring Creek Accessible Playground, The Key, Northfield Youth Sports Collaborative, HealthFinders and Thursday’s Table. Application forms for the Northfield Hospital Auxiliary’s annual scholarship program will be available February of each year at the hospital’s front desk, all local clinics and the high school guidance office. The auxiliary awards ten $1,000 scholarships each year to applicants who are pursuing training in a health-related field from a technical school, college or university. The recipients of these scholarships will be announced in May at our Spring Luncheon. The Kaleidoscope gift shop is a project of the Northfield Hospital Auxiliary. It offers smart, imaginative merchandise designed to generate excitement and conversation. You’ll find jewelry, scarves, hats, clothing, lamps, decorations, personal items, gifts and more. Purchases at the Kaleidoscope support the services provided by Northfield Hospital & Clinics and other local health initiatives. The Auxiliary played an important role in the development of the hospital’s Breast Care Center, and has pledged $150,000 to the Cancer Care & Infusion Center. 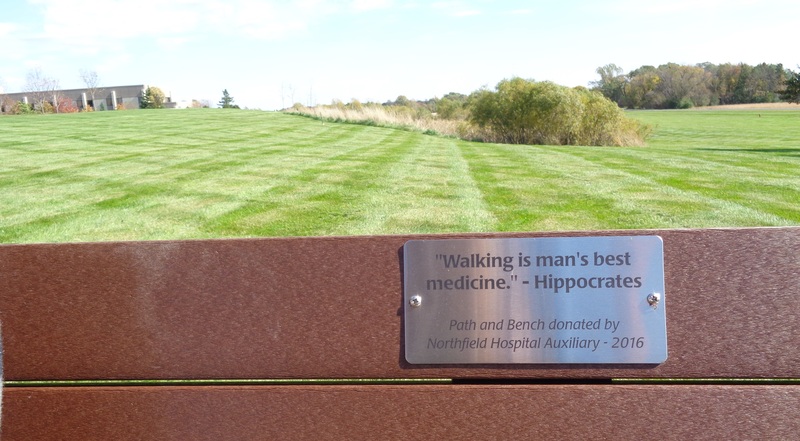 The Auxiliary also supports HealthFinders, the Northfield Healthy Community Initiative and others, and provides scholarships for those pursuing education in a health-related field. Donations will be accepted the 2 weeks before. This Northfield tradition got its humble start 57 years ago on the back porch of an Auxiliary member’s home. (At the time, members thought they might collect enough books to do the sale once.) 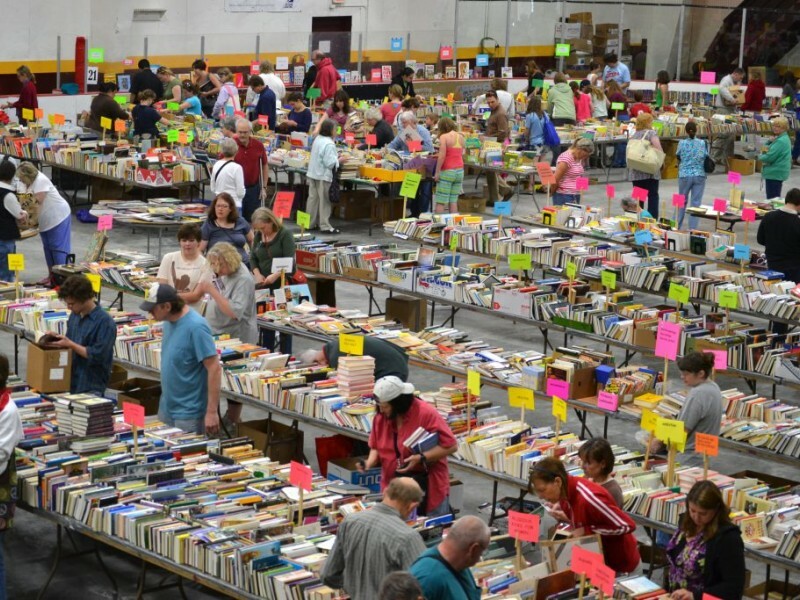 Now, it fills the Northfield Ice Arena with more than 65,000 books, DVDs, CDs and vinyl. The Book Fair has raised one million dollars to support Hospital projects and scholarships. See the time lapse of 2014’s Book Raid. Click here. Here is a small book that the Auxiliary published in 2001, called Book of Memories. There are wonderful stories of what the auxiliary had been doing, including fundraising events held by the group and of course, the Book Fair!